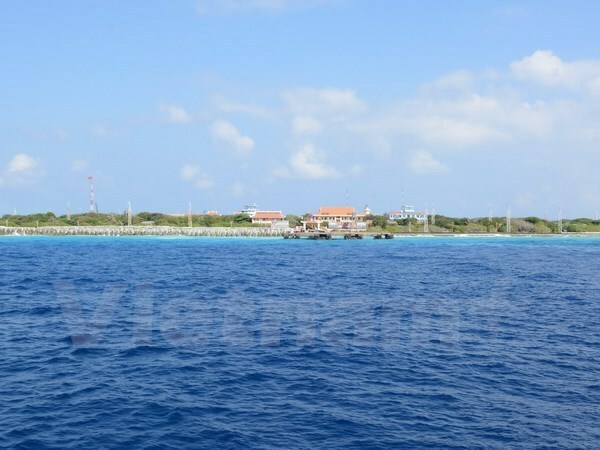 Hanoi (VNA) – The Association of Southeast Asian Nations (ASEAN) always supports the early approval of an effective and legally-binding Code of Conduct in the East Sea (COC), the Foreign Ministry’s Spokeswoman Le Thi Thu Hang said at a regular press conference in Hanoi on August 3. Hang made the remarks while answering reporters’ queries about issues related to a framework agreement on the COC which is expected to be approved at the 50th ASEAN Foreign Ministers’ Meeting and related meetings in the Philippine capital city of Manila. “In accordance with ASEAN’s regulations, at this meeting, ASEAN and Chinese foreign ministers will consider the adoption of a framework agreement on the COC in the East Sea, which had been finalised at the ASEAN-China Senior Officials’ Meeting on the COC consultations,” she said. While evaluating the efficiency of the COC in resolving conflicts at sea, Hang said the common benefits of all ASEAN members and regional countries is maintaining peace, security and stability in the region and the East Sea.